At 350 bucks this thing is a steal! 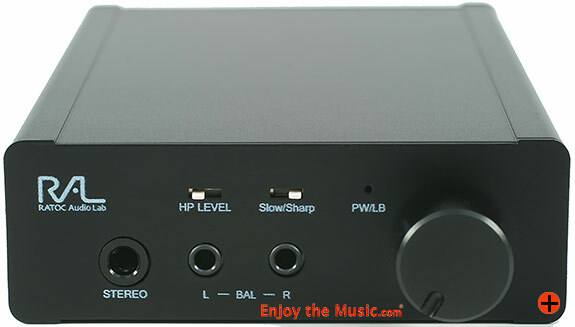 A minute or so after Lisa Hannigan's vocal came into Damien Rice's "9 Crimes" off 9 I could tell the RAL KEB02iP battery-powered headphone amplifier with DAC was a special portable unit when using my iPod Classic as source with Audeze LCD-XCs and Moon Audio Black Dragon cables. This song is so beautiful and haunting. This is especially true when you hear Rice and Hannigan doing their vocal dance around these sparse, soaring, minimal string and percussion arrangements. The sound is infectious. A piano drives the songs melancholic rhythmic progression, and the sense of three-dimensional space in this recording is sublime when reproduced with detail and nuance. 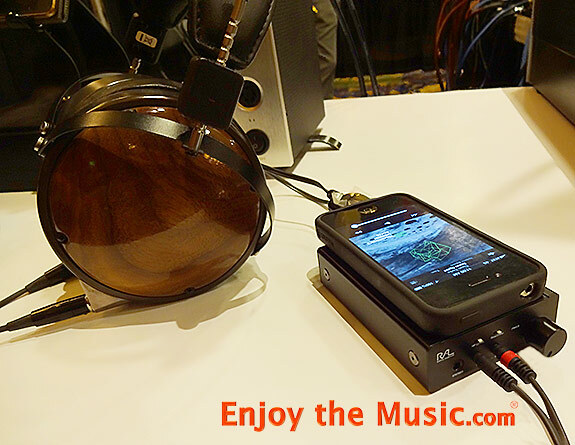 The RAL KEB02iP not only pulled it off, but it did so like a small desktop headphone amplifier would! The sound was far bigger and more dynamically engaging than I expected from this little thing. It's wild. It's just wrong that the unit is only $350 bucks. Guess I shouldn't be saying that officially – but WTF – it is how I feel about the lil' digital beast! I mean, the thing fits in the palm of my hand, has its own battery, can handle digital decoding for DSD and PCM plus works with iDevices and PCs (where it can be used as a USB DAC). Its little rectangular black chassis offers the standard 3.5mm (or stereo-mini) output, as well as a unique balanced option: via two 2.5mm outputs for left and right. Luckily, Drew Baird from Moon-Audio.com had the adapter for my Moon Audio Black Dragon Audeze cables right there at Canjam – where I heard the RAL KEB02iP amp with DAC (at Drews table). After hearing it with my iPhone 4S for the source and my LCD-XCs, Drew told me how much the damn thing costs. I was speechless, which I must admit doesn't happen often! So, he graciously let me take it home for review. Am so glad he turned me onto this little sonic gem that is has become a bit of a cliché – but it holds true in this case. 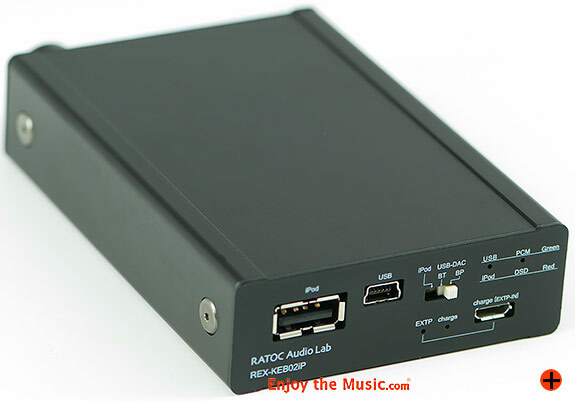 If I needed another portable amplifier/DAC, I would've bought the RAL KEB02iP review sample already. I'm just covered when it comes to portable headphone gear at the moment. There's really no need to toss out a bunch of audiophile buzzwords in order to tell you how much I enjoyed listening to music through the RAL; and with all three headphones listed within the associated equipment section below (the Audeze LCD-X being my favorite pairing). Unfortunately, some of those buzzwords are a necessary evil. But let’s get down to the music for now, as that's what's most important after all, ain't it? I was especially pleased with the variety of music the RAL reproduced well. No matter what it was fed, there was always a meaningful connection to the music. Sometimes a products sonic signature will echo the tastes of the designer. Maybe they prefer classical and jazz to all else – I've found that with some components, especially amplifiers, they tend to favor certain styles of music. One very important plus for the RAL is that it did not discriminate musically as it rocked everything from Linkin Park to Herbie Hancock and it never seemed to become musically boring. That's also a great sign! Because like many of you readers, am constantly blasted with hundreds of different things during the day. It grabbing my complete attention when it comes to music playback is not as easy as you may think; given my enthusiasm for all of this. A systems has gotta have somethin' about it: Like I said earlier; a spark, something that gets me in the gut and stirs an emotional reaction. Well, I got plenty of that while crankin' Linkin Park's "Hands Held High". This is a helluva pop anthem. Recorded in 2007, they create some amazing imagery with heavy lyrics aimed at the Bush Administration, the war in Iraq, and how it's always the poor that leads the charge in war. This track also sounds more like their Fort Minor hip-hop side-project than a typical Linkin Park song – based around simple keys, percussion, bass, and a wicked lyrical flow. When a system’s got that magical character I mentioned above, this song makes me wanna pump my fist and go out and do something. It's inspirational and motivational. The RAL captured its essence wonderfully with flash, color, and dynamic punch. It's also very capable when it comes to singer/songwriter stuff. Tori Amos' "Wild Way" off her latest Unrepentant Geraldines LP sounds like the Tori from back in the days of Little Earthquakes and Under The Pink. Her voice is angelic, and yet so emotive and powerful. Her soft piano strokes were vividly rendered, and the dimensionality of this song; pretty vast considering it musical simplicity, is a big part of what makes this recording so resplendent. But your amp and cans gotta be resolute to capture and reproduce this. Another check for the RAL. I dug the sound of Unrepentant Geraldines so much that I listened to the entire album for the first time in months. Also love electronic music, and I need my bass. This was an area of concern for me at first with the RAL. It had some slam and body in the low-end at first, but I didn't know if it could give me my beats like I need 'em: Fast and tough. Well, after about a week or so of constant use, the bass just seemed to open-up and settle in – and it's only gotten better (weightier, more powerful) the more I listen! One of my current low-end-thump test albums is Recondite's Iffy. I reviewed it in a recent issue of Positive Feedback actually. Let me say this: Iffy is a non-stop, four-on-the-floor/synth-driven tech house masterpiece. It sounds like some of the best after-parties we've ever been to. You know, the ones that don't end ‘til 3PM the day after everyone’s gone clubbing. The records also got this heavy, silky midrange that flows in and out of mind-numbing bass-lines and kick-drums. It's a late-night journey record. 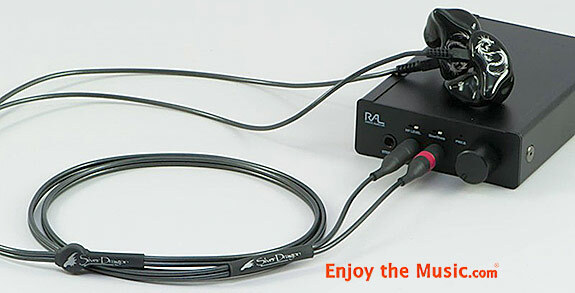 I'm happy to report that when using my LCD-X and Double Helix Cables Comp4 with dual-2.5mm adapter the RAL surpassed my already unreasonable expectations when it came to this particular test.